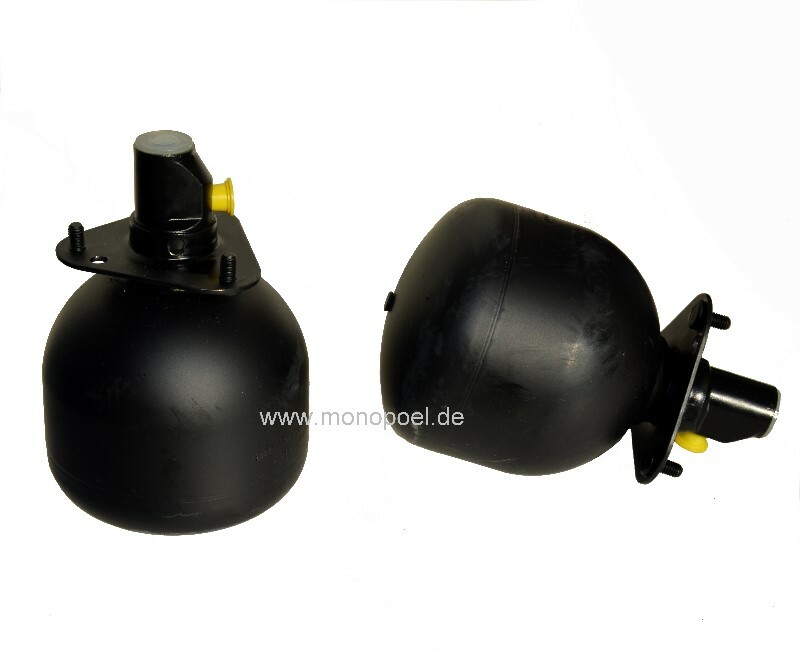 pressure reservoir for level control, all W124, all YOM (also suitable for W210 E-class). At the W124 station wagon the level control is built in serially, at sedans and coupes it was available as an optional equipment. The pressure reservoirs - also referred to as Bull eggs - have a rubber membrane and a nitrogen filling. Age-related the gas cushion escapes or the membrane rips. Due to this the damping characteristic of the level control is lost, the car runs "tough", uncomfortable and road bumps are directly and undamped passed to the body. We supply the pressure reservoirs in brand quality, sold in pairs, since a single replacement makes no sense (uneven ride height). 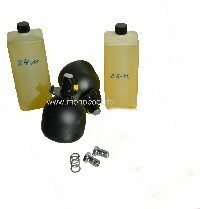 Please also see our complete w124-fesp-set.